The violet dusk held in soft suspension lights slow as bell-strokes, Jackson square was now a green and quiet lake in which abode lights round as jellyfish, feathering with silver mimosa and pomegranate and hibiscus beneath which lantana and cannas bled and bled. 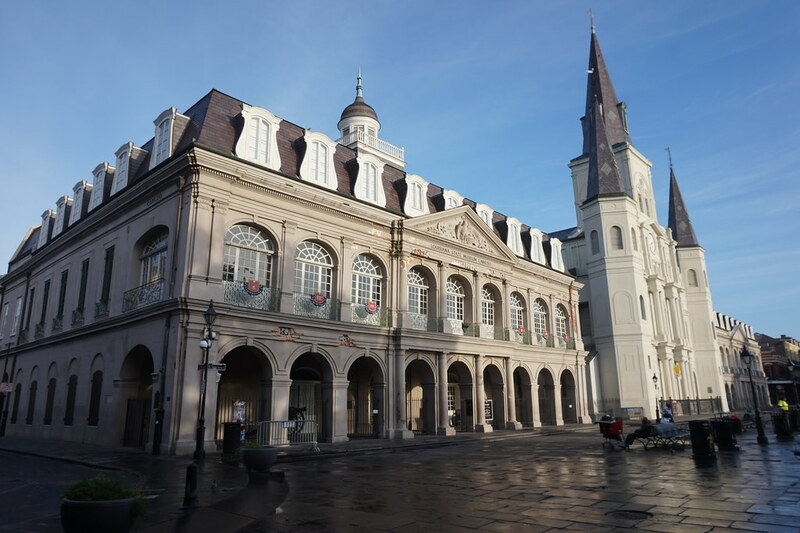 Pontalba and cathedral were cut from black paper and pasted flat on a green sky; above them taller palms were fixed in black and soundless explosions. 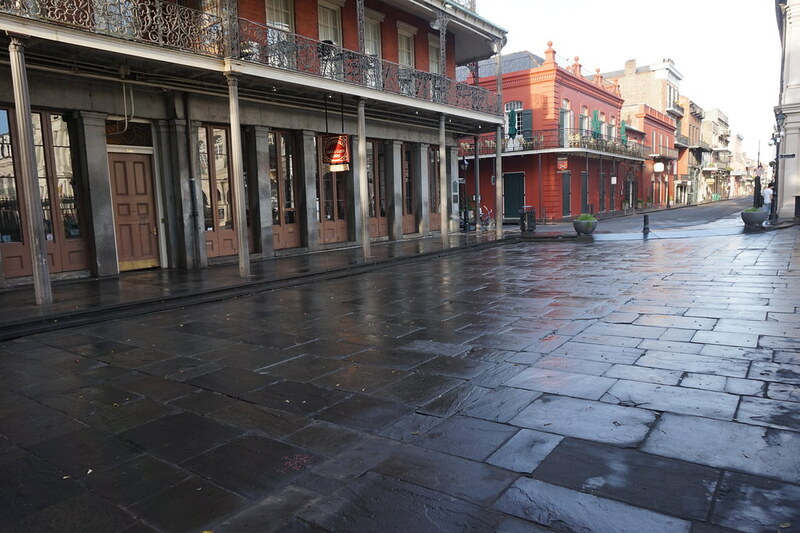 The street was empty, but from Royal street there came the hum of a trolley that rose to a staggering clatter, passed on and away leaving an interval filled with the gracious sound of inflated rubber on asphalt, like a tearing of endless silk.